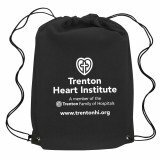 Custom non–woven drawstring bags are fabric -like bags that are engineered from spun-bonded polypropylene that is recyclable, incinerable and can be naturally decomposed. 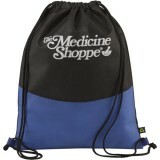 All our affordable polypropylene non-woven tote bags are durable and they can last through years. 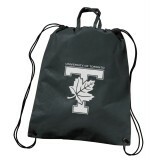 Whether employed for promotional campaigns or individual use, these non-woven drawstring backpacks won't disappoint the user. 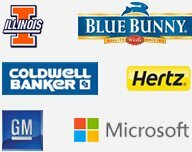 With our lowest price match guarantee, you can remain assured that you are buying it from us at the lowest possible price available. 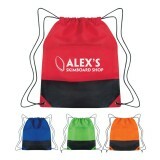 We can ship it free anywhere within the contiguous USA. 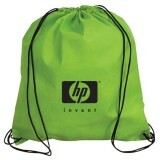 Avail free design assistance and online design proof. 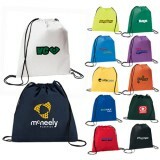 Personalized non-woven bags are made from 100% recyclable eco-friendly polypropylene fabric and perfect to acknowledge your support to the growing eco-friendly trend. 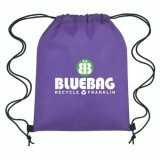 Non-woven, recyclable bags printed with your brand logo will be great for promoting your business and improving your brand visibility. 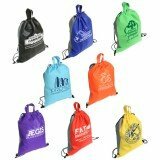 Customers will reuse these polypropylene drawstring backpacks over and over, thereby promoting your business message wherever they go. 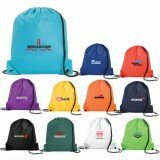 These non-woven cinch backpacks will create a lasting impression on the minds of your customers when you use them during the next promotional tradeshow, conventions and gifts. 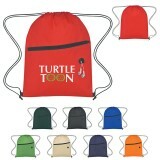 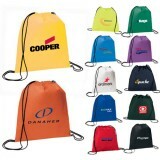 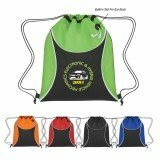 There is wide variety of non-woven promotional drawstring bags available with us at affordable costs that will allow you to make a unique representation of your brand without breaking your bank. 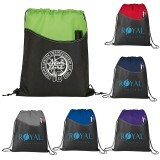 These custom polypropylene/non-woven drawstring bags are a great hit with people of all ages because they are eco-friendly, trendy and easily manageable. 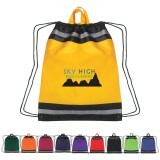 Non-woven bags are great for shopping, campaigns, promotional gifts and several other purposes. 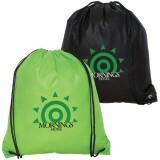 At Drawstringbagsonline.com, we offer large selection of custom non-woven polypropylene drawstring bags that offer large imprint area to position your brand logo in style. 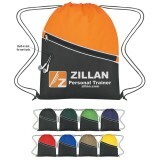 Do you know what is common to people hitting water parks, schools, gyms, roller rinks, offices, etc.? 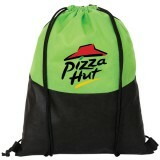 They are carrying various regular use or personal items to and fro. 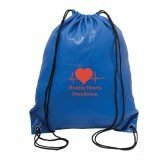 You can always help them for carrying their essentials by giving any of these promotional polypropylene non-woven drawstring bags. 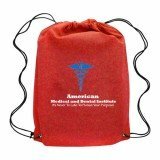 By ordering these eco-friendly customized polypropylene non-woven drawstring bags from us in bulk, you are not only going to save on prices but also make grand brand impressions. 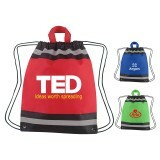 Our aim is to offer you the best personalized bag for use in promoting your business and building your goodwill. 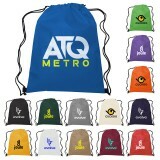 One thing we want to tell you, don’t get fooled by the low quality drawstring bags. 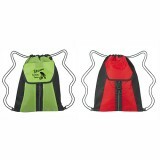 Our goal and your goal is cutting down low quality plastic drawstring bags in landfills, not to sum up with low quality bags that cannot withstand pressure. 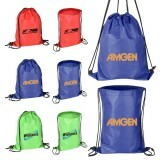 If you are yet to find the perfect promotional non-woven bags for your campaign, feel free to contact us at 855-218-2247. 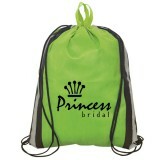 We can guide you about the right non-woven bags for your event, budget and the right imprint option over them.